Call handling is an important aspect of any business. You need a qualified individual to take incoming messages, answer questions and communicate concerns. Because they’re at the frontline of your business, this representative should be able to hold conversations in a competent and courteous manner. This way, you’ll be able to more easily establish a positive relationship with your customers and keep them satisfied. Rather than hiring an in-house customer care representative, a better solution is to seek out a call answering service. 4Corners Business Centers recommends working with a virtual receptionist because it provides more flexibility on many levels. A convenient facility for web conferencing is a non-negotiable requirement to keep your team on the same page. In your own office space, you need the right set of tools for collaborating and discussing matters with your staffers, wherever they may be. Of course, everyone on the team must also have access to the same communication applications. Real business is done on paper, but take advantage of cloud technology for storage. Even traditional offices use cloud-storage services to make key information easily accessible remotely. This eliminates concerns stemming from computer viruses and hard drive failures. Cloud-storage services put a premium on protection as well as security. You’ll have complete control over who has access your virtual account, keeping your files out of the reach of unauthorized individuals. Though most business owners love being able to use a virtual office space, advertising the fact that your company is headquartered in your own home should be avoided. In order to establish a professional business image and build a solid reputation, you need a legitimate business address in a prime location. 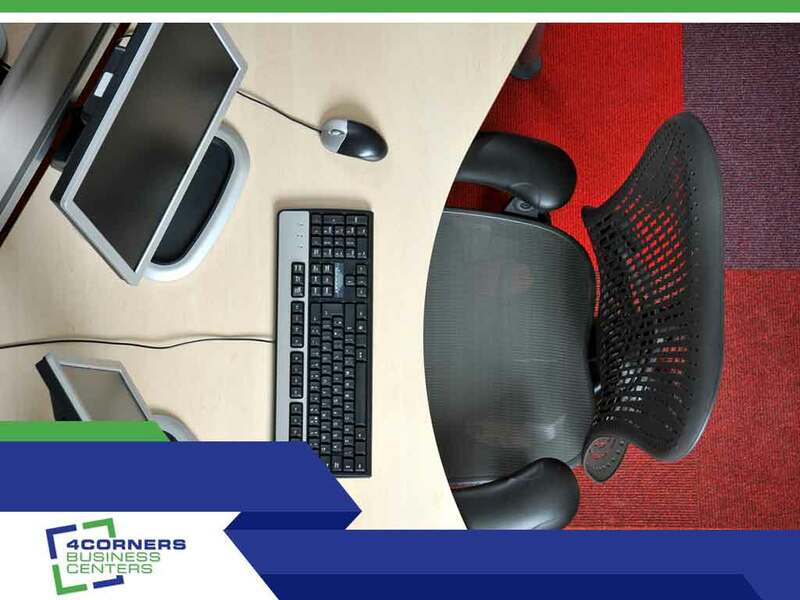 Get everything you need for your virtual office from 4Corners Business Centers. Call us at (718) 280-5170 to tell us about your business needs in Brooklyn, NY.